Santa Cruz City Hall is located at 809 Center Street, Santa Cruz, CA 95060; phone: 831-420-5010. Photo: Cope Row Houses, ca. 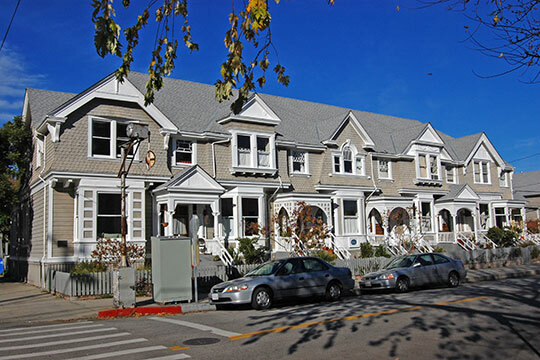 1894, 412-420 Lincoln Street, Downtown Historic District, Santa Cruz, CA. Listed on the National Register of Historic Places in 1982. Photographed by User:Eugene Zelenko (own work), 2010, [cc-by-3.0 (creativecommons.org/licenses/by/3.0)], via Wikimedia Commons, accessed November, 2013. City of Santa Cruz, History, www.cityofsantacruz.com, accessed November, 2013.